Among Google’s new VR venture with Gopro, smart-home platform, and Android M, it is no surprised that you would miss the news about Google I/O 2015. It was not showed in the keynote. However, on Tuesday, Google’s Advanced Projects and Technology team surprisingly introduced two impressive technologies that they prepare to catch more attention on Project Soli and Project Jacquard. The first technology is a motion-detecting technology which promise”sub-millimeter” accuracy, and the other one is a touch-sensitive fabric. 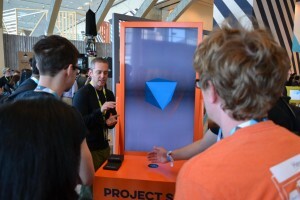 The Google engineers did not say much about the technology before, and they revealed the prototypes of both technologies at the first show of I/O, but neither of them has been used into product. The team promised the public will see more excellent applications tomorrow, it is going to give other publishers sock off. Will touch-sensitive technology surprise the public? It is hard to say. The touch-sensitive technology is made to small touch panels, maybe two inches square were made to a roll of fabric draped across a table and it matches with on Game of Thrones. Even though it is not as sensitive as the touchpad on a modern laptop, the panels can explain the vulgar gestures, like switching a song by swiping or tapping to turn on lights. We can not have our pair of jeans to control our phone, let alone talking it out of t hem. The Project Soli seems different from the Leap Motion controller we have known. Project Soli and device may give you different options when you play games. It is more accurate. It shows new meaning when you consider that Google’s promise on ATAP presentation: “it will break the tension between ever-shrinking screen sizes which is helpful to make electric wearable and enhance the interaction with techonology” How can we control a smartwatch without touching the screen, we can judge it by ourselves. We have no idea what Google has in store, but we will figure it out later. 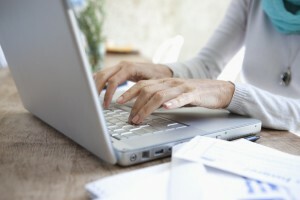 According to the statistics from UN body that there will be almost half of the world’s population can be connected to he internet by the end of the year. We have 7.2 billion population in this planet. In 2015, there will be 3.2 billion people online which is predicted by The International Telecommunication Union. Among 3.2 billion people, there are about 2 billion coming from the developing countries, those nations considered the relative developed countries, for example, Somalia and Nepal only make up 89 million people. The report claims that the mobile subscriptions are expected to develop rapidly from 738 million in 2000 to 7 billion this year. Among 100 people, there are 78 people using mobile broadband in the US AND Europe, while there are only 17.4% of people have access to mobile broadband in Africa.From the figures we aware of the rapid technological improvements made up to date, and the drawbacks from the quick developing of digital economy. We also need to pay much attention on the ICT investment, statement from Houlin Zhao, ITU secretary general. In developed countries, there are about 80% of families expected to have some sorts of internet access by the end of the year, while in developing countries it just makes up 34% of families. 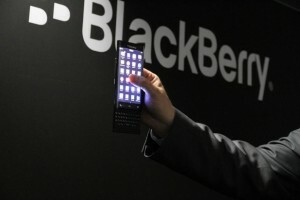 The workers of BlackBerry were told that some of them will be laid off by the company, because the company is still struggling through the hard times. News confirmed by Re/Code that the smartphone-maker is cutting down the number of workers as the consolidation of its device software, hardware and applications units. The Canadian office announced in a statement that they appreciate the employees hard work for the computer and feel happy for the contributions. But one of their priorities is making profit for the company. They have to increase the software and licensing earnings at the same time. There will be a picking up of sales in customer-facing activities in sales marketing in the following months. They will continue to build customer-facing teams around the world, and they will also invest in advanced technology for strategic focus, enterprise, security and internet of Things. Those investments will lead to a better growth of sales. In spite of BlackBerry’s decline from grace, the data of quarterly earnings indicates that the company has engaged to make profit during the lengthy period of economic decline. It was reported that Microsoft may be evaluating a bid for the manufacturer earlier this week. Paying by credit card or debit card are popular around the world. We don’t have to carry a great amount of money when we purchase. In the past, the residents in UK loved to pay on notes and coins much. 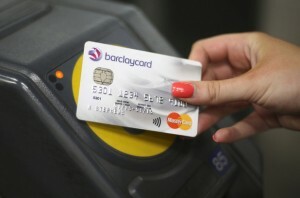 There is data showing that cashless payments are now more popular in UK than notes and coins. The UK will take some time to be going all-digital country. But they use cards, smartphones and online banking more often than physical currency. Around 52 percent of all transactions are now cashless based on the data from the Payments Council. And there are 24 percent of transactions are paid by debit cards. However, the volume of notes’ and coins’ transactions accounted for 52 percent of all payments last year. The figure is declining. The cashless payments are on the rise, and the figure shows they increased from a 20 pounds limit to 30 pounds by last September. And the residents in UK will be soon able to use new technologies to pay such as Apply Pay. In UK, the number of cash machines reached at 69,382 in 2014 which it was an unprecedented high. And the free-to-use terminals are also increasing with a rate of 5.2 percent per year. 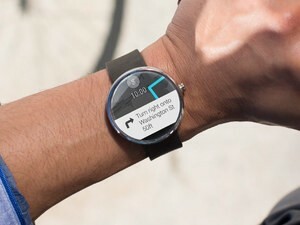 Google Maps are available on Android Wear devices since launch, and the evidence indicates that the all-round service of of devices will reach to wearables in the future. Android Wear is including LG G Watch, Moto 360 and Samsung Gear Live. News from Android Central that a stand-alone app will be added to smartwatches based on Google Maps version 9.9, this app will offer an extensive mapping experience for users. The Android Wear App will update an amount of features which are not used at the present. Those features offers the ability to scroll around maps, enlarge image, switch to compass view and look up your current location from your wrist. One will not be lost with Android Wear. The other new features will be depend on the smartphone app. For example, the features of the option to scan for nearby points of interest and navigate to them are reliant on the smartphone app. When the users has stopped interacting with Android Wear, they were told to switch to a black and white viewing mode which avoiding excessive battery drain. Google will open a press for Android Wear when the stand-alone mapping will be released, and it will be seen and run on an LG Watch Urbane first. 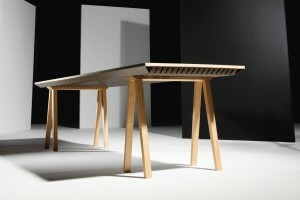 A new table is invented to absorb heat during the day and keep the house warm at night. The air conditioning has made to cool down the heat , and we can enjoy the breeze inside no matter we live in a dessert climate or the tropics. But there is also disadvantage of using air conditioning. It runs with electricity. It takes up 5 percent of all the electricity generated in the United Sates and it comes with a total amount of $11 billion per year. This data came from the United States Department of Energy. The high-efficiency air conditioner, however can decrease energy by up to 50 percent. It still charges a lot. So there is a new breakthrough from two Paris-based designer that they have created a viable solution in the form of a table base on Dezeen. It presents the first design in the pair’s Zero Energy Furniture line, and it was showed by the designers at Milan Design Week. This table is call ZEF Climatic Table. Its designers are Raphaël Ménard and Jean-Sébastien Lagrange. When you walk by it, you may think it is just an normal dinning table like the ones we use at home, but this is what its magic from. It has polished sleep oak exterior, the table can be placed any where you like. This table turn into working when the temperature in your room reaches 71 degrees Fahrenheit. There is a layer of corrugated aluminum that comes with a special phase, it can change the material wax when it softens at 71 degrees Fahrenheit. It starts to absorb the heats in the room while it reaches this temperature. It can release heat as long as the inside temperature drops down to 71 degrees Fahrenheit. The phase-changing material become solidified and and starting to emit the heat it absorbed. Amazon may be experienced with drone on delivery techniques, but they are also finding a new way deliver goods for deliveries in New York. The retailer uses subway in a bid to beat the traffic and cut waiting times for Prime Now customers in Manhattan, source coming from The Financial Times reports. In the past, the staff pushed large trollies which were full of smaller items on the train network so that to promise service’s 60-minutes guarantee. 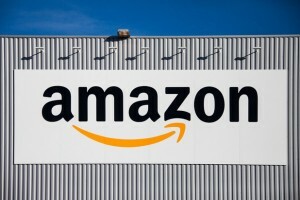 Amazon admitted the news that they deliver goods by their folk bikes, walking or using public transportation in Manhattan. The staff only drive when the item is too large like a flat screen tv. The drones will be able to transmit the information concerning weather and traffic to each other and refresh their flight paths. There is also another new Prime service trailed by Amazon which allows customers to have t heir orders dispatched directly to their car boots. But it is only able to Audi drivers in Germany at the present. All the Windows users can use a new translator to say Hola and Nǐ hǎo on Skype for the first time, even though they have never learned a word of a new language. The Skype Translator is available in preview mode for everyone to use on Windows 8.1 or the Windows 10 previews on PC and tablet. This result is benefited by a few months of limited testing. It is feature is to analyze users words to provide real-time translation during Skype chats. At present, only Spanish, Italian and Mandarin Chinese by voice can be translated. What’s more, it is translated in preview mode. It is a new trial and it may need more tests. Text with 50 different languages can be translated through the app’s messaging function. What an impressed figure! Microsoft aims to as many languages as possible on the relevant platforms, so there will be more languages are expected to be translated in the near future. In addition, users will be asked to help improve translations by highlighting any errors by Skype Translate. As far as we concerned, whether Skype Translate for Windows 7 is in the pineline and when it hopes to exit the preview phase we have no idea as Microsoft doesn’t mentioned yet.